It all started back in 2016 when Michael and Tara Gallina moved to St. Louis from New York. 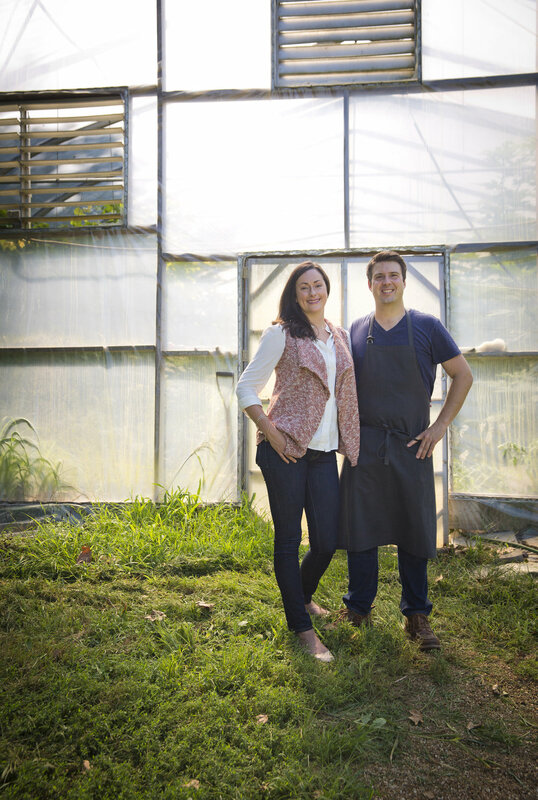 The husband-wife team met while studying under famed chef Dan Barber at his restaurant, Blue Hill at Stone Barns. 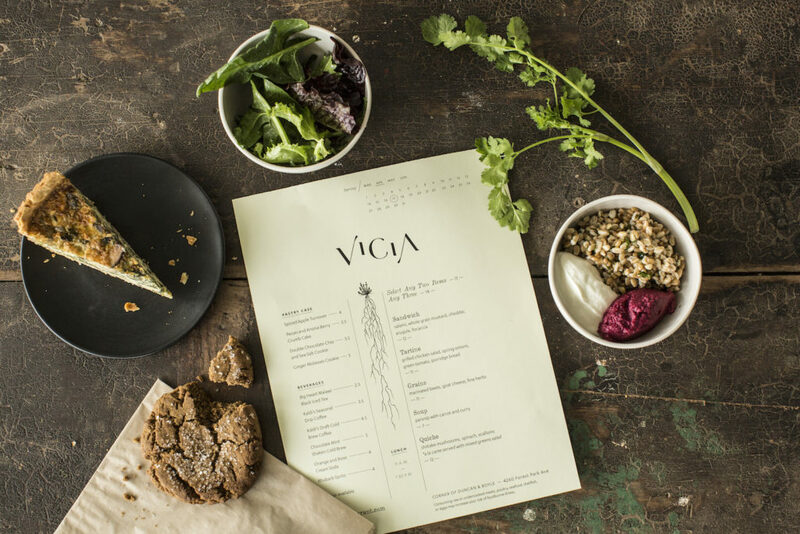 They were relocating to Michael’s hometown with a dining concept of their own: a vegetable-forward restaurant called Vicia. As the Gallinas prepared to enter the St. Louis dining scene, they turned to us with a request: a logo and website for their already-named restaurant. TOKY’s Creative Director, Katy Fischer, saw a unique opportunity. Vicia, the Latin name for vetch, is a cover crop that farmers use to protect soil, particularly in Missouri. 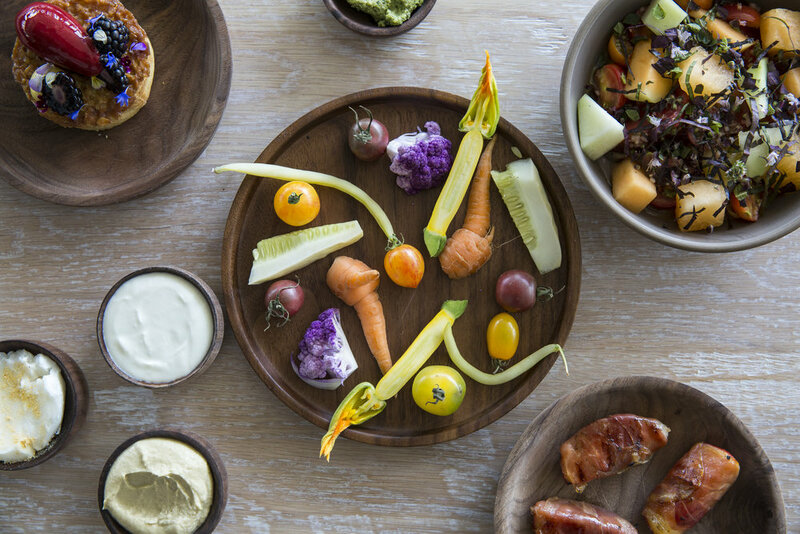 It’s a good indicator of Michael and Tara’s food philosophy: connecting sustainable farming practices with a flavorful dining experience. Our goal as designers was to figure out a way to convey that passion for and commitment to carefully cultivated ingredients. The brand needed to be refined and also accessible (much like the food). The TOKY team looked for inspiration in scientific journals, product design, interior design, cartography, and more. 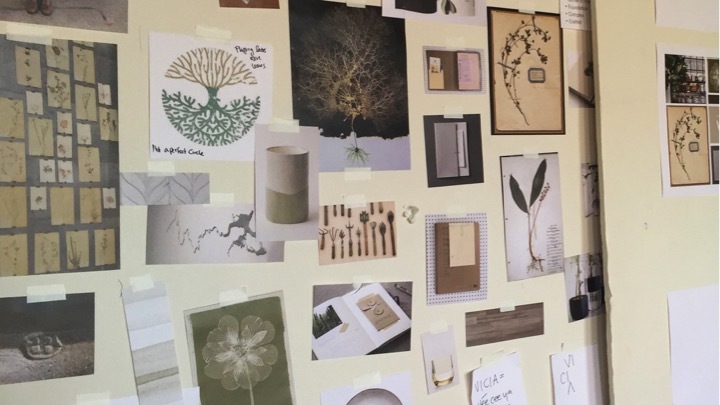 We started building out mood boards, culling together images that spoke to what we knew about Vicia, and drawing connections between recurring themes. 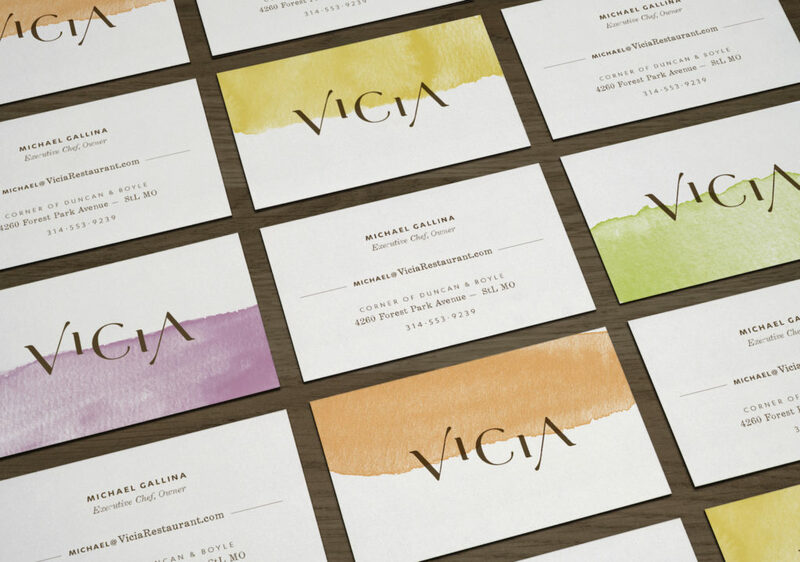 Before long, we had four distinct concepts that expressed the Vicia philosophy. We leaned on Michael and Tara to identify concepts that felt right. Through many collaborative meetings, deep conversations, and emotional explorations, we landed on the idea of marrying the two concepts that rose to the surface. When it comes to growing vegetables, any farmer will tell you that what happens below the soil is just as important as what happens above. The Gallinas’ approach to food is based not only in flavor profiles but also the intricacies of plant science. The Above and Below concept recognizes the duality of the root system and the flower, separated by the soil line. A big part of Chef Michael Gallina’s creative process is research. We were drawn to scientific journals, field guides, and botanist notes which feature meticulous plant drawings documenting evolution and growth. The emphasis on education invites diners to develop curiosity about flavors and textures. Before Vicia even had a physical space, the TOKY team was carefully translating Michael and Tara’s belief system into a brand philosophy. The design process became a journey of discovery for the restaurateurs and an exercise in collaboration for all. 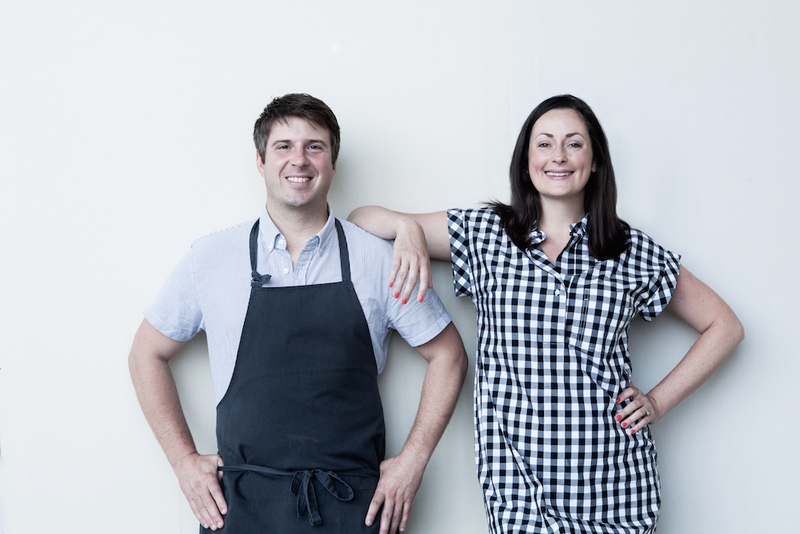 Michael and Tara brought their Midwestern gem to the attention of the national restaurant scene, proving acclaimed cuisine doesn’t just exist on the coasts. Photograph by St. Louis Photographer Jonathan Gayman. 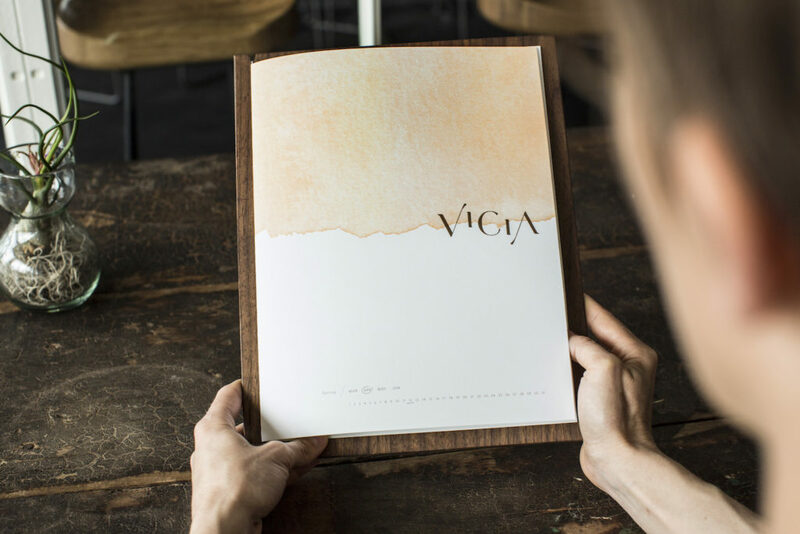 You can visit Vicia in St. Louis’ Cortex district. For more on what it was like to design the dining experience, read our interview with the Gallinas.